My former uni pal Stevie Smith pitched me his hair-brained idea in 1992, suggesting it would take around three years to complete a man-powered circumnavigation. 24 years on, I can finally draw closure. 24 YEARS! That’s half a lifetime, literally (I’m now 48). Having taken as long as it has to get the trilogy out, it may come as no surprise that I actually hate writing. Words and sentences rarely do my bidding (I nearly failed my English O Level), and it takes multiple edits to get something sounding vaguely coherent. But, like the proverbial tortoise, I get there in the end. On more than one occasion during the writing process, it occurred to me how the physical journey was merely a warm-up for a literary one, both being tortuously slow, tedious, largely solitary endeavours with no apparent end in sight. And, as you’ll find out in the third and final instalment, it turned out to be a very good thing that I turned down the six-figure advance from HarperCollins and wrote the thing myself. Gut decisions have an uncanny way of being correct. I’ll be making an announcement in conjunction with the official book launch next week, and I promise this new project won’t take 24 years to complete! 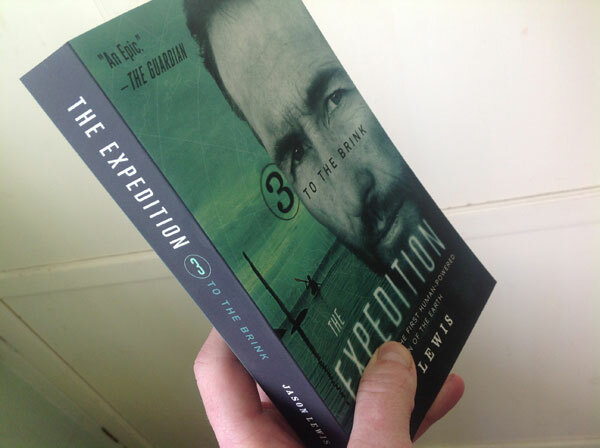 This entry was posted in To the Brink excerpts and tagged adventure, book launch, circumnavigation, human power, To the Brink by Jason Lewis. Bookmark the permalink.